Do you have access to your venue the day before your event? Do you have people available to help your to set up? DIY Wedding Hire could be perfect for you! If you have access to your venue the day before your event, or if you have people to help you set up, DIY hire can be a great way to save money and add a personal touch to your event. 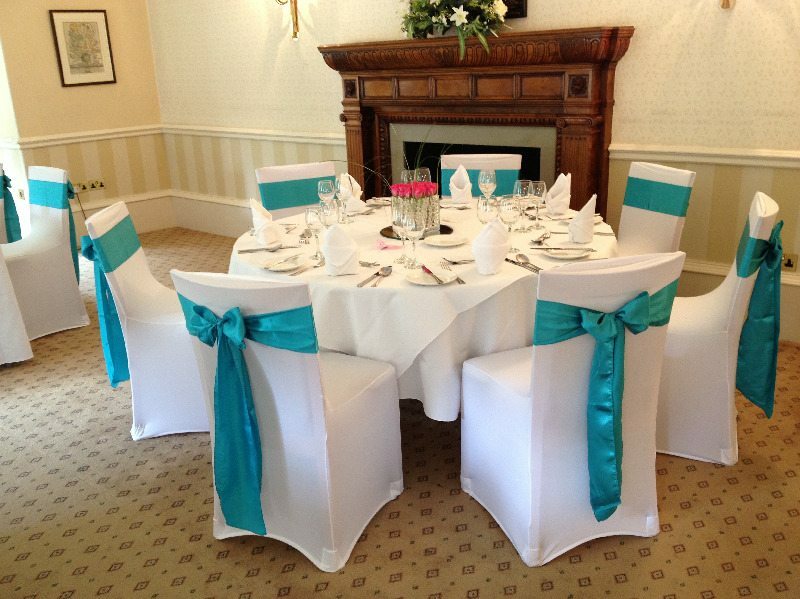 Our white stretch chair covers and sashes - and most of our centrepieces and other hire items - are available on a DIY basis. Items can be delivered to your venue and then collected after your event for a small fee, or you can collect and return to us in Pontefract (just a few minutes from Junction 32 of the M62). Items hired on a DIY basis can generally be collected a few days before your event and are then returned a day or so after. Full instructions for setting up are provided to help you achieve a professional finish, and we are always happy to help with advice to ensure you make the most of your hired items. Prices for DIY hire start at just £1.25 for a white stretch chair cover and organza sash. For more information about DIY hire please give me a call or email me at [email protected] You can also use the 'contact' us form. Do you need your hire items soon? DIY wedding hire items are usually available at late notice - so if your event is soon, or even if you are currently setting up for your event and have realised your room needs a little extra something, get in touch! We can usually have chair covers ready to collect within an hour or so if necessary!